Experience style & enlegance with our fine Sateen Striped Bedding Collection. How much consideration do you put into the decor of your home? When you selected the paint colors, did you bring swatches home to compare to your furnishings? As you chose drapes, did you consider how it would match the floor, walls and accent pieces? When you put this much effort into the look of your residence, your bedroom should be no different. Royal Mystique's 300 thread count sateen stripe cotton flat sheet is one piece of decor you don't have to consider for very long. The beautiful design will match any decor you may have, the pattern drawing the eye while not overwhelming the room around it. Six neutral shades match your drapes, flooring and walls. 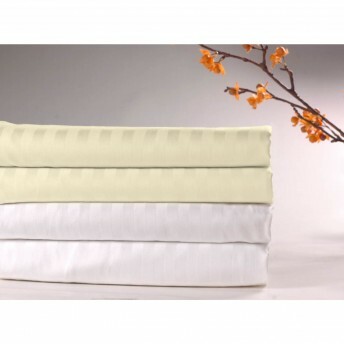 To ensure the best night sleep available, 300 thread count cotton fabric will pamper your body all night long. 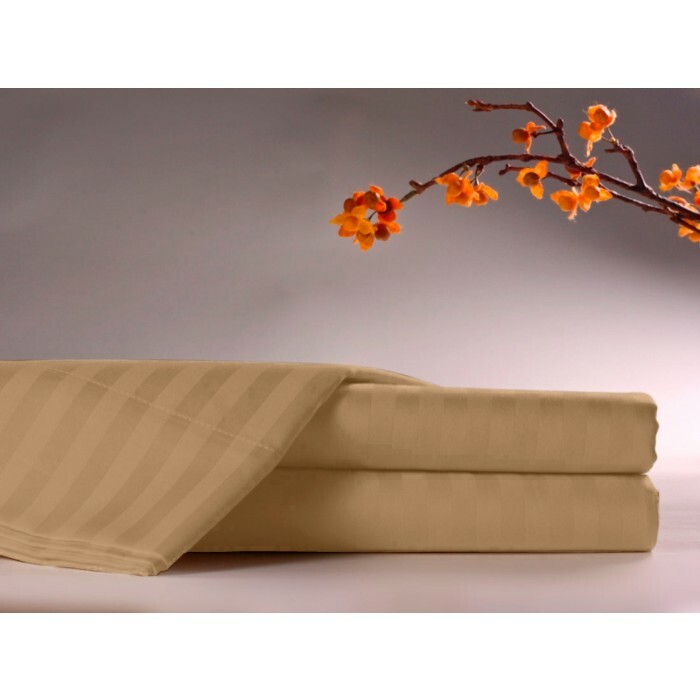 For a restful sleep in a bed you adore, pick up this sheet for yourself. When it comes to setting up your bed, every detail needs to be considered. From the bed skirt to the pillow cases, you have to choose the best options to ensure a good night's sleep. 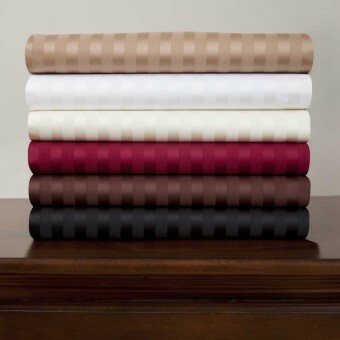 The anchor of your bed needs to be the Royal Mystique 300 thread count sateen stripe cotton fitted sheet. This product is truly superior to others in the market, all thanks to its cotton high-thread count fabric and user-friendly design. The beautiful sateen stripe adds a gorgeous look on top of the already amazing construction and styling. When you first feel this sheet beneath you as you go to bed, you'll question yourself as to why you never invested in this sheet before. You can select any hue you wish, those which blend in to your decor or those which stand out boldly against it. Just one night's sleep on this sheet will have you wanting to purchase the whole set! A gorgeous bed not only looks amazing every time you enter the room, causing you to stop an admire your own great taste in design, but it also provides you with the soothing comfort needed to ensure that you drift off as soon as your head hits the pillow. What is the first thing your head will encounter? 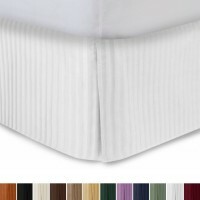 The pillow case, of course, and this Royal Mystique 300 thread count sateen stripe cotton pillow case is the number one option on the market today. The gorgeous sateen stripe glows gently in the light, providing a beautiful look to your bedding. 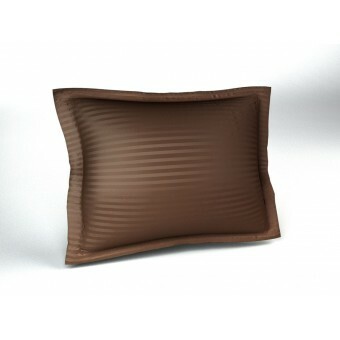 You can mix it with your current sheets or pick up the flat and fitted sheets which match it for a complimentary touch. The use of cotton in the 300 thread count fabric will allow you complete satisfaction as your face touches your pillow at night. All in all, this is truly the pillow case for you. There is nothing more dignified than the look of a bed dressed with the finest sheets and pillows then adorned with a 300 thread count sateen stripe tailored bed skirt. No matter what the bedding on top might be, the sateen stripe will highlight it and draw the eye around it. 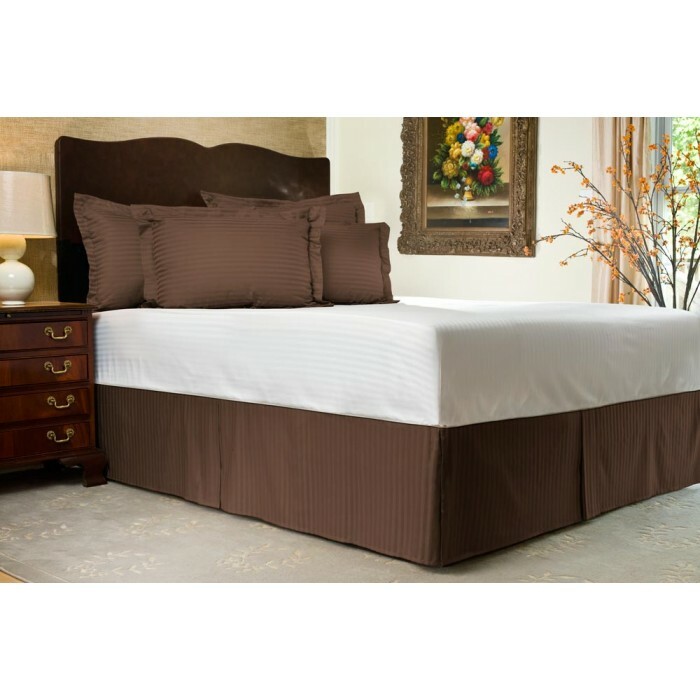 With the variety of color choices, you'll be able to pick one which makes the whole bed light up with beauty. The tailored fit turns the bed from simple to simply elegant. Thanks to the 300 thread count, the skirt will have a great longevity, much longer than models of lower quality. With a mix of cotton and polyester for the fabric, that durability becomes even more pronounced. From the tallest to smallest bed, there is a drop option to cover the gap beneath each. Turn your bed into something special by putting one of these bed skirts around it today. When your day bed sits off the ground, there can be as much as 36 cubic feet of space beneath it. This can easily fill up with dust and dirt, leaving it looking dingy and unappealing. One way to prevent this is by placing storage boxes beneath, but those don't look nice either. What is the alternative to an ugly under-bed situation? A day bed 300 thread count sateen stripe tailored bed skirt, of course! This is the perfect option for people who don't want a frilly, ruffled bed skirt making their day bed look too feminine. The tailored fit is clean and crisp, turning your bed into an attractive furnishing. A variety of colors are available, so you can match the bed skirt to the drapes, walls or the bedding itself. Whatever height your day bed may be, there is an option to fit it perfectly. If you want to better your bedroom or guest room, invest in this skirt. When you buy a duvet for your bed, you'll often buy it not for its looks but for its comfortable warmth. When this is the case, your next investment must be in a cover which will make it look as appealing as sleeping beneath it might be. 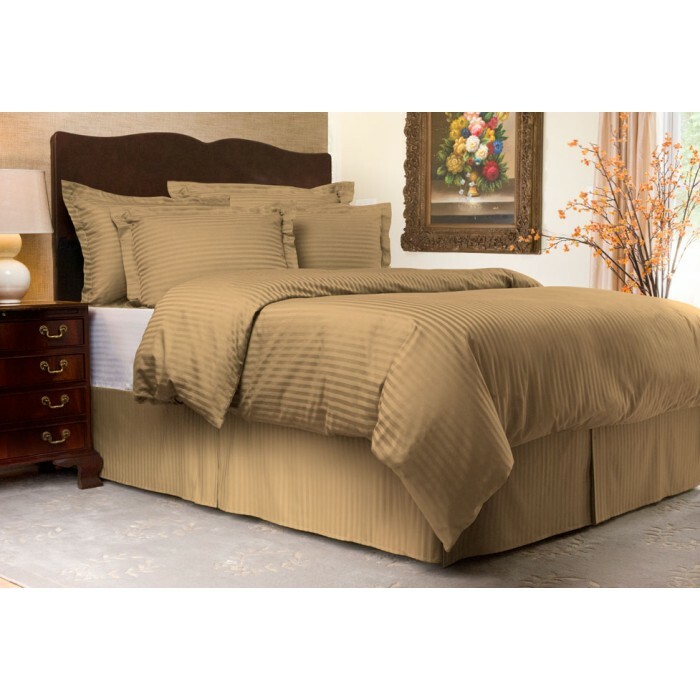 This sateen stripe 300 thread count duvet cover is the most beautiful option available. If you already have the sateen stripe sheet set in place, it will be the perfect match for your bedding. If you don't, it will accent the look of your current sheets and pillow cases to make your bed look like an interior designer picked out the pieces. Thanks to the soft, strong 300 TC polyester/cotton materials in use, it will stand up to repeated washing while remaining soft and silky. 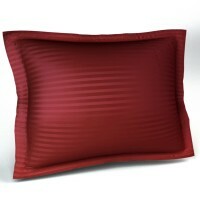 Turning your duvet into a great looking piece is simple if you buy this cover, get it in place and enjoy it tonight. After searching every store in Nashville AND the internet, this is the only place who had the item I needed,which was a full, 18" drop bed skirt with split corners. It is a very nice quality, washed and dried beautifully, and a good quality fabric - NOT the cheap thin fabric I have seen in the home stores. Fast service, too !! This item wasn’t available in stores but easy to find and order from shop bedding. The quality exceeded my expectations. Perfect. Exactly as advertised. Classic look. I love it. Item exceeded my expectations. Quality excellent, very reasonably priced and it fits perfectly with measurements exactly as described. The split corners make it look like it was personalized just for my iron antique bed frame. The quality was great with this and fit perfectly!